This document will describe how to schedule Webi report output in CSV or custom format (PIPE). Default options are available to schedule webi query data in CSV or export report data in CSV with CSV as achieve option. 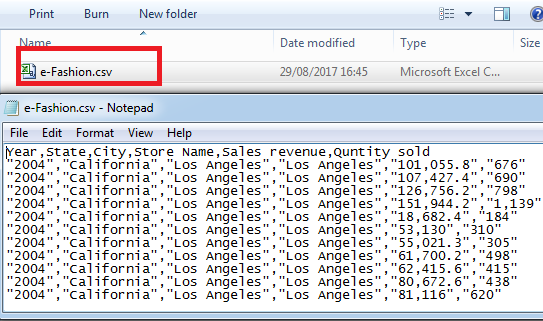 Default CSV format: This option in report scheduling enable to export webi query data in CSV (comma separated values) format. This option helps if all calculations are handled at database or universe level. 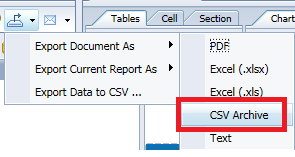 CSV as archive: SAP introduced new feature from BI 4.1 to save as report data in CSV format with option CSV as achieve. This option enable the option to export report data in CSV format. But this is specific to report export. This is not available with report scheduling yet. With the above two options the gap still persists i.e. how to schedule webi report output in CSV or custom format. If data is coming from multiple webi queries. If calculations are achieved by reports variables/report level filters. If expected format is other than that CSV. e.g. PIPE separated values. Here I am taking data from e-fashion universe to demonstrate how can we schedule report data in CSV or custom format. This is the report data which I want to schedule at File system or FTP location. 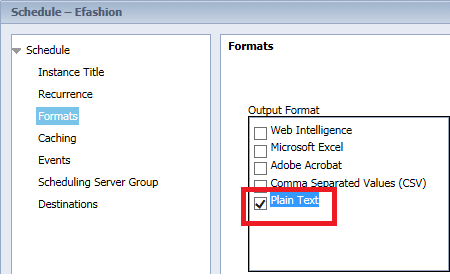 Drag Var_main variable in report and update header as per required definition. Right click and schedule the report. Under the Format “select Plain Text”. Similarly for PIPE create another variable. This option will only work if file delivery location is (BI Inbox/EMAIL/FTP/File System/SFTP server).This option will not work if default location is enterprise. SAP disabled the add extension feature from BI 4.2 and re-enabled from BI 4.2 SP03 Patch 8.Without add extension this option won’t work. For more details check mentioned sap note. It is very much informative content, thanks for sharing with community. I have no idea what I am missing in doing this. This works and returns data but only when returning one record. While I was building this I was using one record for testing. When I finished my build and removed my file ID filter, I return no data. I have also tried adding one record at a time but as soon as there is more than one record, I have no data. Add employee number object as second column and right click and hide it.if it will not work then share your formula please.